Contains No. 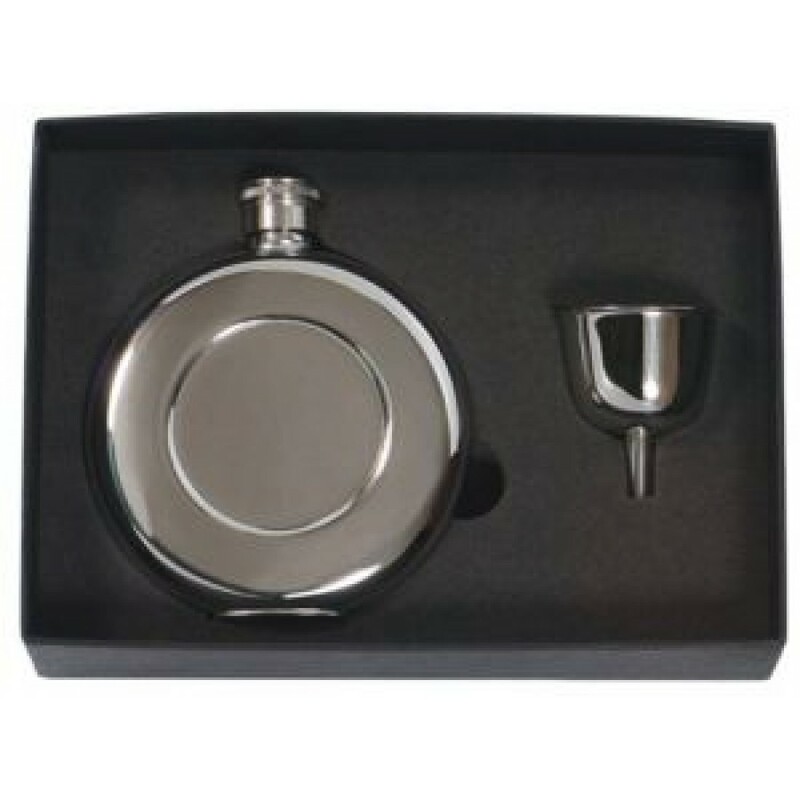 8107 Round Pocket Flask, 4.5 oz. 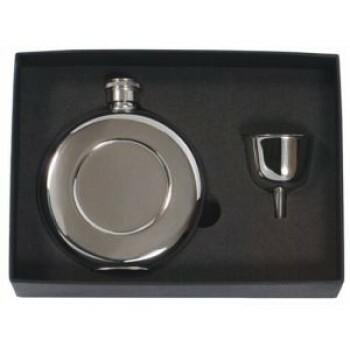 mini stainless steel funnel and velveteen sack (for the set). Black box with foam insert. 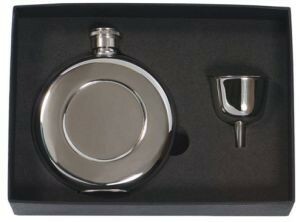 Flask: Mirror finish. Recessed round center panel. Flat bottom edge for standing upright. 4-1/8" high, 3-1/2" dia. Imprint area: 1-1/2" dia. in recessed center. Laser engraving available.